A seamless approach to home construction or renovation ensures that each detail is handled professionally from design to completion. The infrastructure of your home includes complicated systems that in many cases interact within very tight spaces. As you develop your renovation budget and design, it is critical to have a whole home outline for all of your HVAC and electrical before you seal up your walls. Finding an experienced contractor to work with is important. Below is a list of services that will help define your own checklist for interviewing contractors. 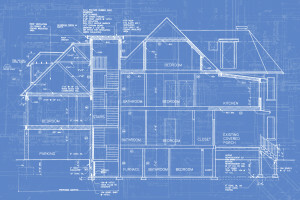 The scope of your project may require, by code, an architect and/or engineer drawing. For your electrical and ductwork, having the guidance of skilled experts who are proficient in the latest technology and systems’ installations helps your reno move seamlessly through the approval process. In addition, your final project is designed beautifully, taking into consideration the precise placement of central HVAC equipment, wiring, and fixtures. The use of computer aided engineering and design software can produce visuals that allow for greater oversight and vision as you move through your renovation. Top notch electrical contractors should have experience in all sizes of remodeling or new build projects. By the very nature of a kitchen or bath reno, electricians know the ins and outs of plumbing as it relates to electrical wiring placement. Knowledge of code is again, very important in an electrical contractor. Skilled electrical engineers will have designs and plans for wiring and fixtures that illuminate your vision. Both design and labor professionals must work in concert to ensure that your whole electrical package, from wires to fixtures are perfectly placed, aesthetically pleasing, and up to code. One of the key features of a new home or a renovated space, is the air conditioner and other home comfort equipment. Ductwork and equipment must be carefully placed to ensure your system is constructed to meet the heating and cooling loads of your home. Issues such as ventilation, insulation and roofing structure also affect your home comfort performance. In addition to being code compliant, making sure your system is sized properly and works within the overall electrical framework is dependent upon a certified and licensed HVAC contractor. A new HVAC design may not simply mean adding an updated handler and twisting some ductwork. A qualified contractor should address renewable resources, indoor air quality measures, and hybrid options that satisfy your distinct concerns. Qualified HVAC installers work with designer, engineers, architects and other trades to ensure all systems are in sync before walls are sealed. Options such as geothermal heat pumps, which provide opportunities for federal tax credits, can be part of the discussion as can heat pumps, ductless systems and hybrid options. Quality HVAC contractors will also be able to address the latest in furnaces and programmable thermostats that can maximize your home’s energy efficiency and minimize operating costs. Optimum heating and cooling solutions – technologies such as hybrid heating make it possible to enjoy optimum comfort management at any given time according to current indoor and outdoor conditions. Easy system programming and monitoring – advanced thermostats monitor for maintenance needs while also allowing precise adjustments through wireless connections. Household health – indoor air quality solutions can be addressed through supplemental system components such as air purifiers, ventilation systems, and humidifiers. Enhanced home environment – careful design and placement allows your system to make the greatest impact with minimal sound and visibility concerns. The Henscey Electric & Air Conditioning professionals are ready to discuss your project as you look for ideas and gather quotes. Call Henscey Electric & Air Conditioning at 888-718-7144 today to discuss your home comfort, electrical, and indoor air quality concerns. We service the Dayton metro area and we are available for repairs, maintenance based on your busy schedule.